Read any guidebook and most will tell you that the top things to do in Iceland is visit the Golden Circle, soak in the Blue Lagoon, and chase the Northern Lights. These are, of course, all great things to do on the small European island, but there are so many other incredible things to see, do and experience. 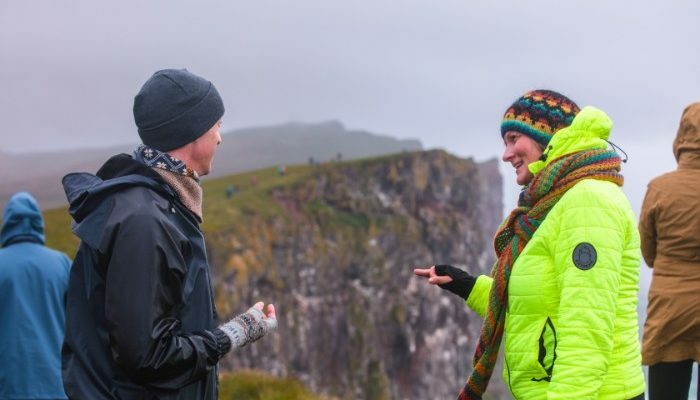 Jura chats to a traveller about Iceland. Iceland is covered in walking trails, and your trip isn’t complete without doing at least a few. There are a lot of hiking opportunities close to Reykjavik; Mount Esja is a 20-minute drive from the city (you can catch a bus there too), and is a relatively easy walk up to its 914-metre-high peak. An hour out of Reykjavik, hike to Glymur, Iceland’s second-highest waterfall. In some parts of the trail, you’ll pass through caves and cross muddy patches (and a river) so it’s important to be prepared – and have your wits about you! 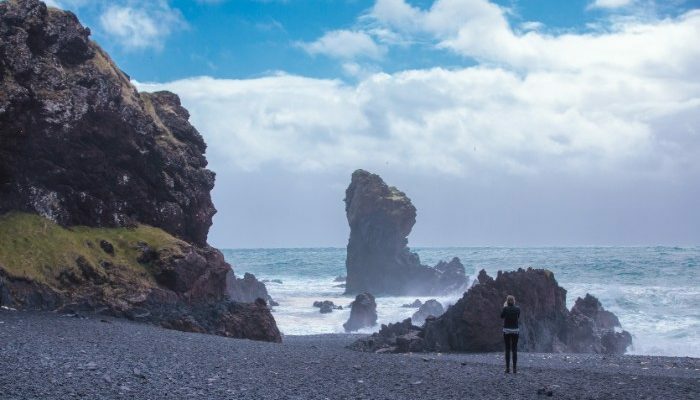 For a hike with a (not so surprising) surprise, visit Reykjadalur Valley. After a 45-minute drive from Reykjavik, take a three-kilometre hike through the ‘steam’ valley; don’t veer off the trail at all, as this area is full of bubbling mud pools and steam vents. At the end of the trail, you’ll reach the Hot River; perfect for a soak before making your return trek. Elliðaárdalur Valley is a short bus ride from the city centre and is a lovely spot for a walk on a sunny day. It’s one of the only parts of Iceland where rabbits run wild. Swimming pools in Iceland are quite different to what you might expect at home; there are seven public pools in Reykjavik alone that are filled with geothermic waters. Visit Vesturbæjarlaug, Laugardalslaug, Sundhöllin or Reykjavìkur in the suburbs of Reykjavik, or stop by the pools in one of the surrounding towns. This is a great chance to meet some locals and have a chat about their daily life. Jura leads her group around Reykjavik. 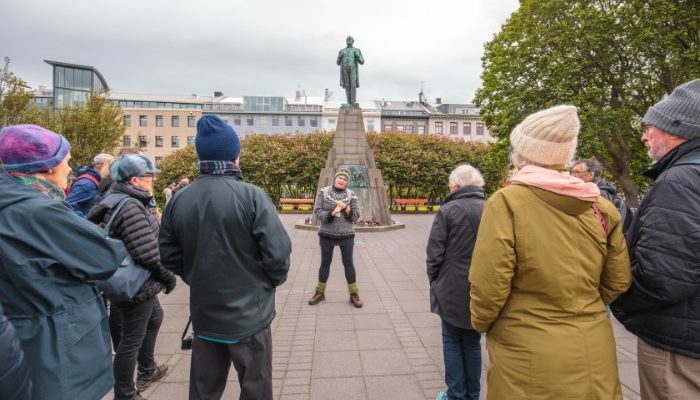 The National Museum of Iceland provides a great introduction to Icelandic history and culture, from the time the country was settled until now. 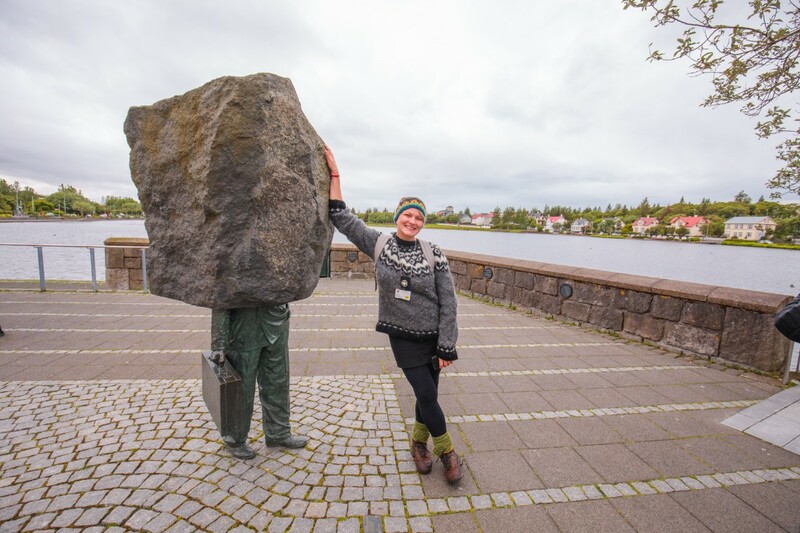 Einarssafn and Àsmundarsafn are two exceptional outdoor sculpture museums. In summer, the Árbæjarsafn Open Air Museum is a popular spot to while away an afternoon; the museum is in the Elliðaárdalur Valley. While not as renowned as some other European cuisines, Iceland has an interesting food scene that deserves to be explored. 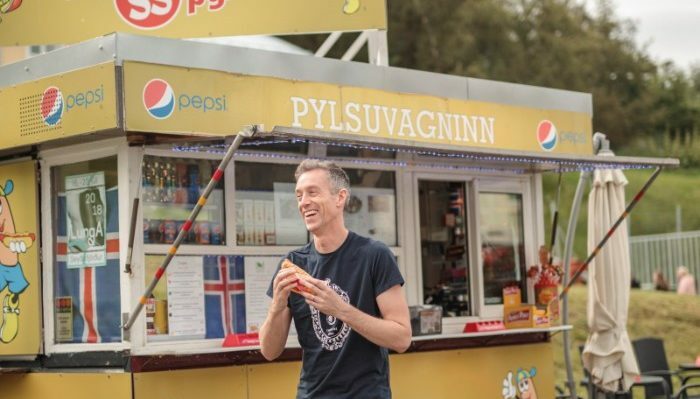 Hot dogs appear to be a national delicacy, with stands all over the country; the most popular stand is Bæjarins Beztu Pylsur (which translates to ‘the best hot dogs in town’ – who are we to disagree?). Head to the city harbour and order one with everything. Lobster soup at the Sea Baron is also essential comfort food, especially on a cold day. Order your soup and an Icelandic beer at the counter, then settle into the cosy back room alongside hungry travellers and locals. Cafe Loki, opposite Reykjavik’s imposing cathedral, is a somewhat touristy spot, but they create delicious traditional Icelandic dishes that you might expect to eat in your grandmother’s kitchen (if she was Icelandic!). Unlike many other restaurants in the city, it’s surprisingly affordable. And if you have a sweet tooth, drop into a local bakery and stock up on some Icelandic pastries, such as traditional Love Balls, Icelandic donuts and Happy Marriage Cake. Well, not exactly. If you’re short on time but want to see as much of Iceland as possible, take a day trip around the Snæfellsnes Peninsula; it’s often described as Little Iceland, as there are several iconic landmarks in the area. In amongst the dramatic landscapes is the glacier-topped Snæfellsjökull Volcano (the inspiration for Jules Verne’s 1864 sci-fi classic Journey to the Centre of the Earth), black-sand beaches, lava fields, quaint fishing villages, and eerie rock formations. When the weather is too miserable for exploring, head to the Bio Paradis cinema, Iceland’s first arthouse cinema. It screens the newest Icelandic films, documentaries and shorts (most with English subtitles). The Reykjanes Peninsula gets a LOT of visitors, but most of them are going to the same place: Iceland’s international airport. The peninsula is well worth a visit in its own right; along with being a hotbed of volcanic and geothermal activity, it’s one of the only places in the world where you can see the Mid-Atlantic Ridge above sea level. Viðey Island, just a short boat-ride from Reykjavik’s harbour, is another way to get away from the crowds in the city. Covered by a network of trails, explore the island by foot or by bike (you can hire a bicycle for the day at the harbour) for stunning views, historical ruins, and Yoko Ono’s famous Imagine Peace Tower. Immerse yourself in the best of Iceland on a small group adventure with Peregrine now.